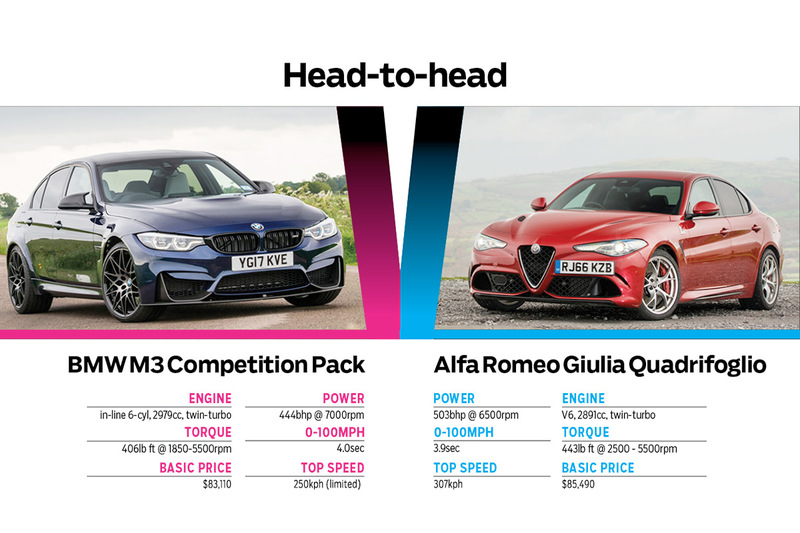 BMW M3 v Alfa Romeo Quadrifoglio – which is the sports saloon king? Sure, the F80 generation BMW M3 has taken a while to come good but, having spent a couple of days with this Competition Package version – with its extra 19bhp, upgraded suspension and reconfigured drive modes – I’d say it’s pretty much back to full strength. This car drives like it looks – pumped, tense, up for it – and sounds like it looks, too, the growl of the twin-turbo straight-six ever-present, evoking memories of the iconic, naturally aspirated BMW M Power straight-six slotted in the nose of the E46. I don’t see any obvious flaws in its armour. But here comes the Alfa Romeo Giulia Quadrifoglio. Much praised and now here in the UK, the Alfa is restoring faith in the Italian brand, coming almost out of nowhere to take on the sports-saloon establishment and claim the Nürburgring saloon-car lap record, too. Yet alongside the M3 it looks, dare I say it, a little tame. The Alfa’s 19in alloys are typically gorgeous but they look like 18s compared with the GTS-style 20in cross-spokes filling the BMW’s expensively, lovingly flared arches. It’s an altogether more subtle car, the Giulia, but undeniably handsome with it. 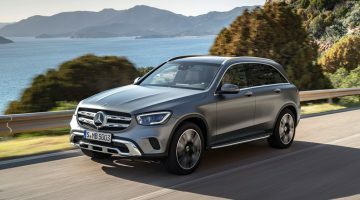 Its strongest statement of intent is, of course, its twin-turbo 2.9-litre V6, whose 503bhp easily outpunches even the uplifted 444bhp of the Competition Pack’s 3-litre six. It sounds like a recipe for ‘light the blue touchpaper and retire to a safe distance’ performance, in the manner of the original Maserati 3200GT, but while the Alfa’s performance is scintillating, it is also effortlessly well mannered and exploitable, even in its most aggressive drive mode. That comes as a bit of a surprise. So can the Alfa blend this refinement with inspiring on-road handling and involving on-limit track behaviour? To find out we’re going to let them loose on Wales’s heavenly, raggedy-arsed B-roads and also extract lap times at the Bedford Autodrome. Bury the throttle in the low gears and the sound is glorious; deep, metallic and menacing, especially from around 4000rpm when, apparently, the bungs come out of the tailpipes. 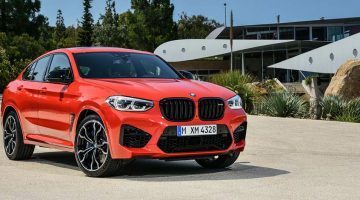 The delivery escalates in line with the sound, which makes it unexpectedly naturally aspirated in feel, with a decent initial kick low-down, a swelling mid-range and a properly thrilling crescendo at the red line. A few tentative throttle squeezes suggest an easy breakaway in the dry – judging by the flickering stability control light – but given the heft of the steering and not knowing what the power delivery feels like when the tail is loose, I’m happy to wait until the track session to find out what happens. What a contrast the Alfa is. Its steering couldn’t be much more different – light, fast and so responsive that you have to calm your inputs considerably. 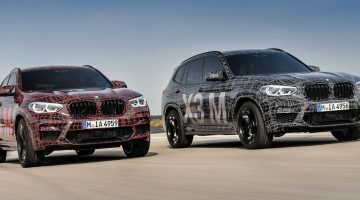 Yet, as with the BMW, you soon adapt to it and, although it feels soft-riding, the nose darts when you turn the wheel. The Giulia’s cockpit features plenty of carbonfibre trim, but overall the ambience feels less expensive and less sporty, even though this car’s Sparco seats have the optional carbonfibre shells ($4100). They look a bit flat compared with the BMW’s but don’t be fooled because they feel superb and offer great support. Heading to Wales on dark, wet, sometimes bumpy A-roads, I’m not up for that. Set to its most relaxed driving mode, the Alfa has an almost luxury-car demeanour, only the sharpest of bumps getting through, while on a light throttle the V6 settles to a rumble like the lowest note on a church organ – which is probably the cylinder deactivation kicking in. It’s a serene place to be and it’s hard to imagine it lapping the Ring in 7:32. The only dent in the relaxed feel comes from the brakes, optionally carbon-ceramic (as are the BMW’s), which are powerful but tricky to modulate. Are the standard brakes better, we wonder? Still, four hours to the Elan Valley is a breeze. This Alfa is a pussycat, yet to show its claws. It’s exciting to see a couple of over-powered little sports saloons in the pale light of a grey, rainy morning in central Wales. Or maybe that’s just me: I see an opportunity to get into their limit handling at low speeds. Alfa first. Your options are unhelpfully restricted in the Giulia because there’s no separate stability-control button. If you want to turn it off there’s no choice but to twist the Ferrari-style ‘DNA’ rotary all the way round to Race. This also sharpens the engine and gearbox and firms up the dampers, though you can press the damper button and back them off to their mid setting (again like Ferrari). The bottom line is that you don’t have nearly as many setup options as in the M3. In Race or ‘D’ you get to hear the V6’s lovely, rorty but refined yowl, which is not as loud or edgy as the BMW’s but encouraging. The Giulia feels a little firmer, a bit stiff-legged in its mid or firmest damper mode but still rides bumpy Welsh asphalt with impressive capacity and roundedness. The sharper throttle tests the traction more and, out of junctions on a light throttle, the inside wheel over-speeds harmlessly. The rear differential has electronically controlled clutch packs like Jaguar’s E-diff and so can deliver locking characteristics to suit the scenario. A provocative stab of the throttle gets both wheels spinning and there’s enough low-speed torque that you can easily ride out low-speed slides on a small throttle opening. If you’re confident, the same applies at medium speeds, but as the roads dry out patchily and get faster, dropping back to ‘D’ to re-engage stability control feels prudent, as it does in the BMW. It’s now that you feel a bit cheated, not being able to have the best sound and biggest performance and stability control on. Slightly surprising is that neither car’s steering offers much genuine feel. Also surprising, given that it seemed ready to slip in the dry, is the M3’s behaviour on these sodden, bumpy roads. Set damping and steering to Comfort to give the rear wheels the best grip and have the most manageable steering, set the drivetrain to Sport, and you’d expect to have a car as happy to swing as the Giulia. But no, the rear of the M3 takes some unsticking, and not because you have to rev the engine higher and harder; it just seems to have more mechanical grip. It will go, of course, if you goad it enough, and it’s impressive that although there’s a bit of a snap when it breaks away, you can balance it easily on the throttle. While the recovery isn’t the smoothest, it’s OK. So BMW first. When you’re not trying to provoke a drift, it’s more predictable and effective. With everything set to Sport+ and stability control off, you can feel when you’re about to run out of rear grip, and with the engine working hard that’s just about everywhere the car isn’t straight. Turn-in is positive and it’s an exciting lap, balanced on the limit so that small slides are being corrected even on the exit of the fastest corners, something you can do thanks to the confident poise of the M3. The carbon brakes are a little rumbly by the end but still pulling the car up strongly. The best lap is a 1:24.7. And the Alfa? It doesn’t start well, the rear swinging with very little provocation at the first turn – an acute hairpin – but at the same corner on the first flying lap it’s found loads of grip and, as we found earlier, once it’s straight it hooks up strongly and will take full power. Body control doesn’t feel as stiff as the BMW’s but the Alfa is responsive thanks to the sharp steering and brakes. Oversteer is available early in the corners but from the apex there is a degree of understeer to push against, which feels useful in the quicker corners. On the third flying lap there’s suddenly no power to be had – the electronic diff has bailed and the stability control has kicked back in. Game over. Considering they are aimed at the same customer, the Alfa and BMW are distinctly different propositions. On the spectrum from comfort to sportiness they overlap to a surprisingly small degree, the Alfa at its sportiest matching the BMW at its most comfortable. So what you expect from your potent, small sports saloon will probably decide which is the one for you. The M3 is now the car it should have been from the start. Compared with the Giulia, it’s a bit tougher at low speeds, a little less refined, but when it’s up to speed it’s superbly damped and the chassis balance is spot-on – the $4150 Competition Package is a must. It will feel too hefty for some, but it’s a thrilling car with a strong engine note and an exciting delivery that rewards revs. It looks the part, too. The Alfa is the more nuanced car, more subtle in many ways, with a supple ride and a relaxed long-distance demeanour, yet it always steers with a directness that gives it a wonderfully agile feel. That engine delivers a big hit and works beautifully with the slick auto gearbox, though you have restricted access to its total performance and full-blooded soundtrack – some drivers simply won’t ever use Race because it turns off stability control. Even if you don’t, we wonder how long a set of those Pirellis will last. And yet, for all that, and the unsatisfactory brake feel, it’s hard not to be charmed by the Alfa. Previous ArticleAftermarket car brake upgrades: do performance brakes from Brembo, AP Racing, Alcon, etc make sense? Next Article Racing back in time. Gulf Historic.